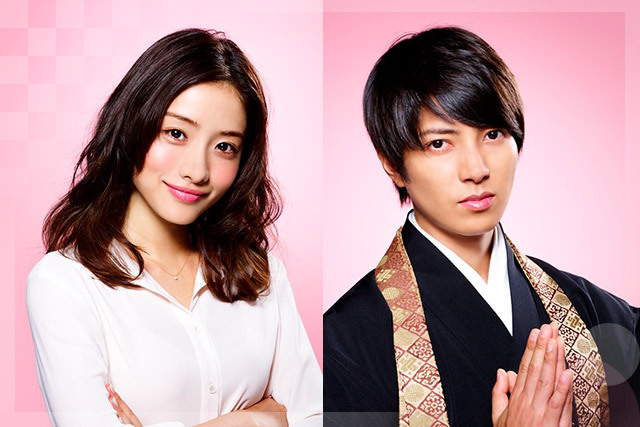 Last year rumors were rampant that actress Satomi Ishihara was in a relationship with Tomohisa Yamashita. The two worked together on the successful 2015 FUJI TV drama series “5-ji Kara 9-ji Made: Watashi ni Koi Shita Obōsan”, which is apparently when Satomi and Yamapi began their relationship. Throughout the past couple months many tabloids such as FRIDAY continued to report on the rumored relationship, with Yamapi being spotted going over to Satomi’s home many times during the week. One tabloid reporter even claims that the two have taken their relationship to the next level and are now semi-cohabited. As usual Yamapi’s agency Johnny & Associates has been wishy-washy on the subject, but it’s said that the agency simply “tolerated” the relationship for the past year because it was just dating. Yamapi has dated many other female entertainers in the past. However, with the rumors that the two are now semi-cohabited whispers of marriage possibilities have started to stem from that which has Johnny’s very annoyed. In the past, it’s been said that a lot of Johnny’s talents have postponed marriage due to the fear of fan backlash. Even normal dating is still handled very carefully, as seen with Mao Inoue and her long-time rumored boyfriend Jun Matumoto. Unless the agency changes their ways it’s very unlikely that the road ahead for Satomi and Yamapi will be easy.